Did you forget to pick up almond milk at the store? Did you run out of cashew milk just as you needed it for baking or a smoothie? No worries! This homemade nut milk takes TWO minutes or less, total. Yes, within seconds of saying, “darn, the dairy-free milk beverage is gone”, you can have as many glasses of this creamy, dairy-free, homemade nut milk as you need. Lucky for you, this post is sponsored by Peanut Butter & Co. Otherwise, I might not have remembered to share this super easy homemade nut milk beverage recipe with you! All opinions, photos, and the recipe are my own. I’ve actually been making this secret little homemade nut milk recipe for years. I still pick up dairy-free milk beverage at the store regularly. But this all-natural blend is such a quick and healthy option that I rely on it often for recipes (sweet, savory or baking! ), dousing my morning granola, quick smoothies, or any time a glass of dairy-free milk beverage is needed in a pinch. And in some ways, it’s better than store-bought. It tastes amazing, is free of additives of any kind, relatively high in protein and “good” fats, and can be sugar-free. I was inspired to share this homemade nut milk recipe with you when I received some sample jars of the new Bestie line of Cashew and Almond Butters from Peanut Butter & Co. They make pure, creamy Cashew Butter, Almond Butter and Almonds & Cashew Butter with just nuts and the perfect touch of sea salt (the plain Cashew Butter has a wee bit of sunflower oil added). 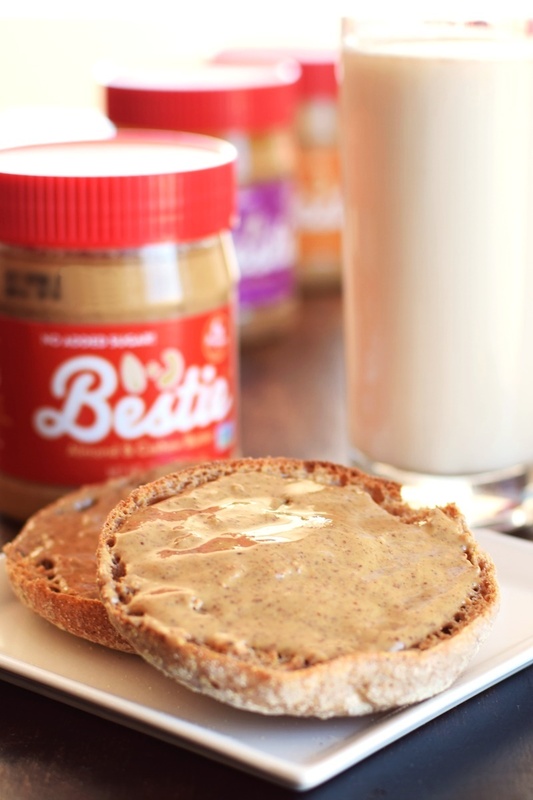 I honestly couldn’t ask for a better natural nut butter. 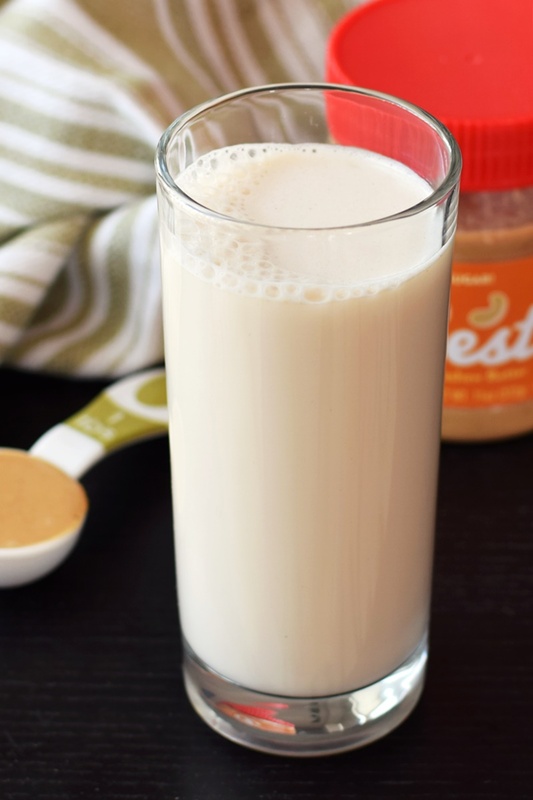 The simple, smooth blend of Bestie makes it PERFECT for healthy homemade nut milk. And you can bet that I made some almost as soon as I opened the first jar. Okay, I slathered some on a whole grain English muffin first. Then I made the nut milk. By ingredients, this recipe is dairy-free / non-dairy, egg-free, gluten-free, grain-free, peanut-free, soy-free, vegan, plant-based, vegetarian, and paleo. You can half, double, triple, or whatever multiple you need of this recipe to get as much or as little homemade nut milk as you need right now. Place the nut butter in your blender with the water. 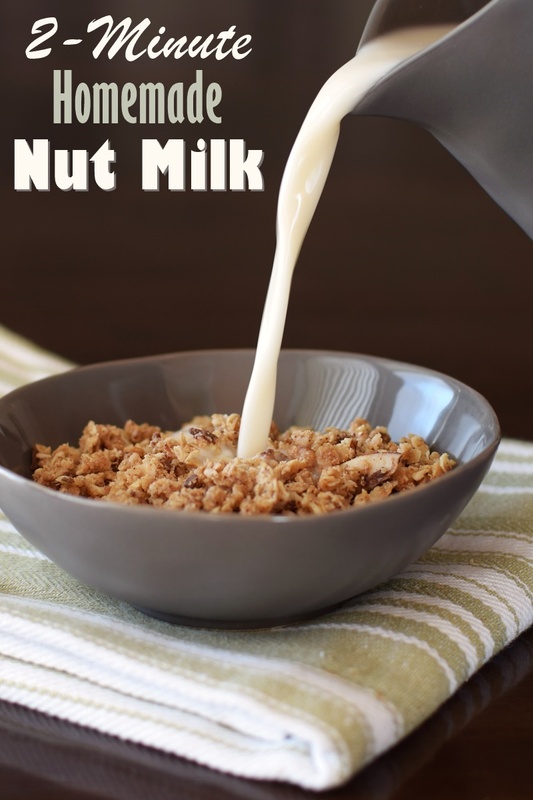 Use ¾ cup for a creamier nut milk or 1 cup for a more standard milk beverage. 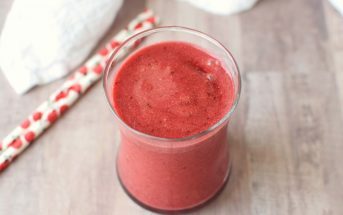 Blend for 30 to 60 seconds. If desired, blend in the sweetener. I recommend this for sipping; a little maple goes a long ways. Nut butter can still have a tiny bit of sediment. If desired, pour the nut milk through two layers of cheesecloth before using, for the smoothest finish. This will keep in a container in the refrigerator for up to 1 week, but it will settle since there are no additives. Just give it a stir or shake, and use as you would any other dairy-free milk beverage. Amazing recipe! I’ve been living with a dairy allergy for 10 years and this site is awesome!!!! This is so creative! Thanks for the easy and healthy idea! I love how easy you’ve made this. No nut milk bags! Well, it definitely doesn’t get easier than that! I’m totally using this trick next time! Yes, it’s a life-saver Jenn! So as much as I like homemade nut milk I never do it. It is a huge pain in the you know what in my opinion. Especially since we have a family of 5 and all I’d be doing is making nut milk if I tried to keep up. But this is amazing! LOVE cheat methods so I’m all in! I’ve made my own dairy-free milk several times before but I always forget about it now. It really is so easy to do, I’ll just have to do it more often :). Thanks for the reminder. I love how quick and easy this is! 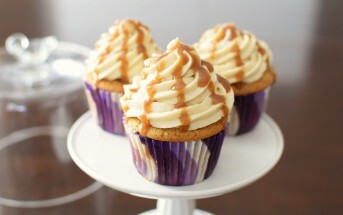 I’ll have to make some with Darrol this week! This is so easy!! I’m going to have to start making my own nut milk more often!! This is genius!! What a great idea! I’ve wanted to make my own but am way to lazy this is something I’d actually do! Great pouring shot!!! And that nut butter looks amazing. I’ll have to keep an eye out for it. I hear you! I’m all about “cheat” methods like this one, especially since it is still so healthy and free of funny stuff. Fantastic in a pinch. Even I could do this! So simple! We may actually be able to have nut milk at our house! Haha, you sound like me Amanda! I’m always jumping on the easy, everyday stuff. THank you!! I forget how easy it is to make my own nut butter! What a great idea. So simple. And there is usually always some type of nut butter in the house. Thanks! Exactly! And I think you’ll be amazed by how good it is. Love this! 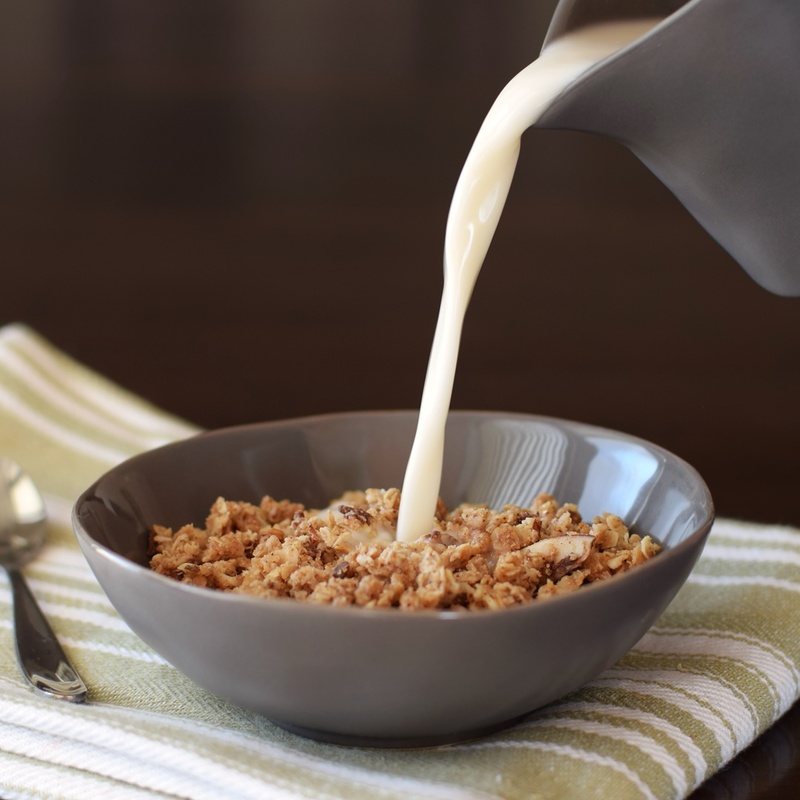 This is sooo much easier than any other method I’ve seen for making homemade nut milks! Will definitely have to give this a try!! You won’t be disappointed Rebecca! I’ve actually been thinking of trying to make my own nut milk, as the ones I buy have a lot of gums in them. I’ve just been too lazy. 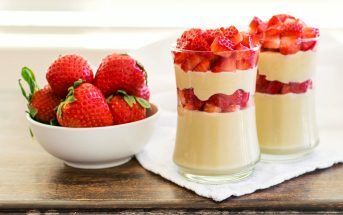 😉 This recipe is so fast and simple! Can’t wait to try. Really?! Nut milk made without squeezing it through a bag?! Way cool! Yep, really. No soaking, no waiting, no seasoning, any amount. Crazy, right?